French black metal continues being among the best in extreme music. When looking over the black metal landscape, there are certain band’s that you just know you can rely on for quality material that pushed the boundaries of what the genre is and can be. Blut Aus Nord are one of those bands, and have been at the forefront of the French black metal scene for over 20 years at this point. From their Memoria Vetusta trilogy or their 777 trilogy, the band has been nothing short of prolific in their output and experimental in their approach. 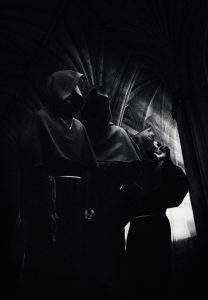 While they have flirted with various takes on the genre over their career, each album gives us a new example of why French black metal has such a high reputation. 2017 has given us the latest, a twelfth full-length in the form of Deus Salutis Meae from the excellent Debemur Morti Productions. The approach chosen by these three this time around is still black metal at its core, but deals a lot with electronics. Not entirely in the ambient realm, although there are certainly some haunting ambient pieces, but a bit more on a near industrial side. The music is cacophonous and each instrument blends together to make a wall of sound that grips you and feels suffocating while it does. There are not exactly industrial beats or anything, as the drum work is certainly real and has some shining moments. The fills are wonderful, and the blast beats plenty, making the bottom end of the record quite penetrating. The guitar packs in quite a few riffs, but again combined with the electronics gets perhaps a bit lost in the mix except for the lead work and solos. Vocally is where the album is at its most strange, featuring plenty of blacked grunts and shrieks, but the agonizing wails and occasional hymnal approach takes the songs to another level. There is something obviously dark, but almost ritualistic about Deus, and though the release is fairly short when looked at alongside of the band’s prior releases, the quality is still very high, and feels like another great addition to their ever-growing catalog. In almost no time, you are about halfway through the album, and really still trying to piece it all together. There are a lot of little nuances and subtleties packed into each track, and one listen will not do it justice by any means. This record definitely requires time and even some patience to really get everything, but the results are more than worth it. From punishing black metal to some doom elements and of course plenty of electronic accompaniment, Deus Salutis Meae is quite an accomplishment. 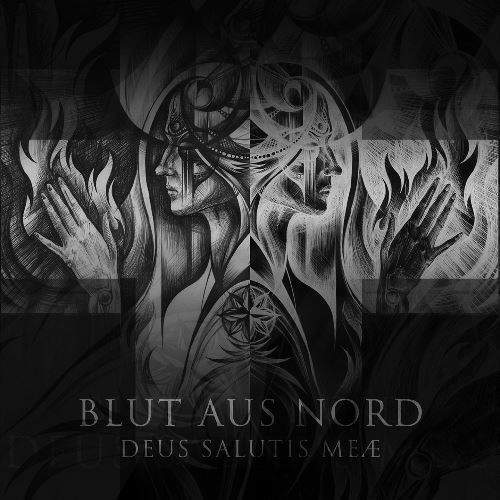 Again, Blut Aus Nord have been a staple in the French black metal world for some time, with each new release being met with great anticipation. That trend continues here in 2017, and this group clearly shows no signs of slowing down, or ever giving us material that is disposable. The French black metal scene seems to get stronger all the time, and this long-standing project keeps the reputation alive. This entry was posted in Bands, Black Metal, Featured Review, Progressive Metal, Reviews and tagged atmospheric black metal, Avant-Garde Black Metal, Batushka, black, black metal, Deathspell Omega, Dodsferd, doom, France, french, industrial, Industrial Metal, Leviathan, Locrian, Pyramids, Reverence, Terra Tenebrosa, The Axis Of Perdition, The Eye, the ruins of beverast, Xasthur.